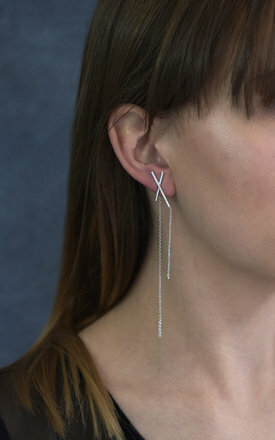 Asymmetric statement bar earrings white gold. Beautiful cross bar asymmetric earrings with a scattering of cubic zirconia stones. Features two chains, one attached to the bar with a single stone sat at the bottom and 3 sat together a little further up. 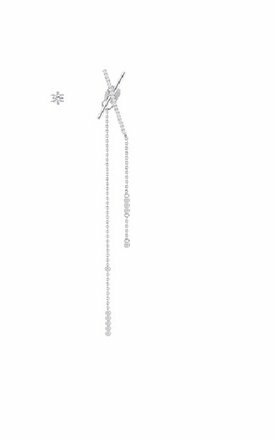 The other chain hangs from the butterfly and includes 3 small stones at the bottom at one a little further up. The cross has one line of cubic zirconia stones for a touch of sparkle. 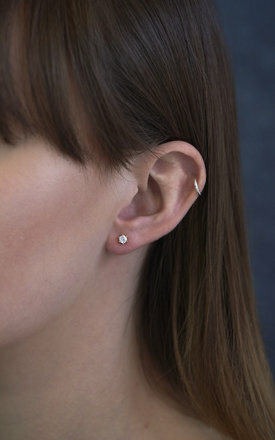 The other earring is a single stud with a centre stone. 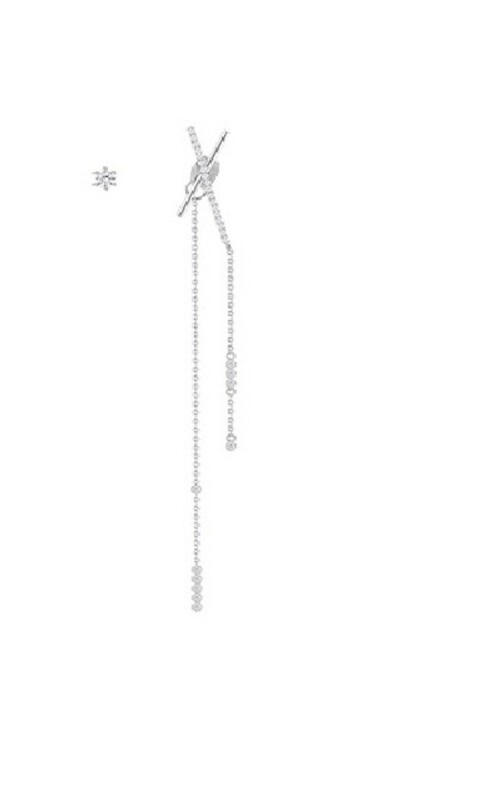 Mix the chain butterfly and use it on either side to switch your look easily. Please note you will receive one cross bar earring and one stud. Brass, white gold plated, cubic zirconia. Cubic stone bar is approx 25.49mm in length. Plain bar is approx 18.73mm in length. Bar chain is approx 43.5mm in length. Butterfly chain is approx 89mm in length. Stud is approx 4.72mm in diameter.